Intel is planning to release new low-power Atom processors which introduce support for DDR3 memory to the range, along with a boost to clock speeds. 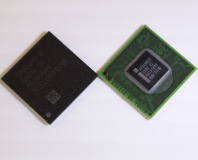 As reported over on Fudzilla, the first new processor - to be called the D525 - is an extension of the D510 dual-core chip, and will be aimed at non-portable devices such as nettops. As well as a speed boost from 1.66GHz to 1.8GHz, the D525 will bring support for both DDR2 and DDR3 memory to the platform - allowing OEMs to decide whether to go for speed or economy when building their systems. 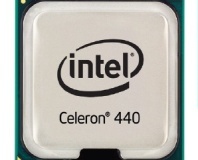 The good news is that the increased performance doesn't come at a cost in energy, as the D525 has the same TDP as the older D510 at 13W - so OEMs choosing to upgrade to the faster processor shouldn't need to redesign their power or cooling solutions. While the D-range of Atom processors is specifically aimed at mains-powered systems - unlike the N range, which usually finds its way into netbooks - there's technically nothing to stop an OEM building a portable device around the new D525 for higher performance, although the relatively high 13W power draw will obviously have an impact on battery life. 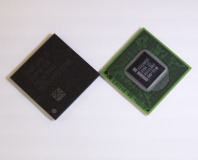 Desktops won't be the only thing to benefit from DDR3, either, with the netbook-oriented single-core N475 and chips N455 both pegged to receive support. Although Intel hasn't given a firm launch date, the new Atom processors are expected before the end of the second quarter in July. Do you think that DDR3 support will redeem the Atom platform in your eyes, or is it still sat in that halfway-house situation of being slower than a traditional processor and yet still more power-hungry than an ARM-based chip? Share your thoughts over in the forums. Intel has launched a range of low-power chips to beat ARM at the smartphone game.